Double dose of solicitations tonight. 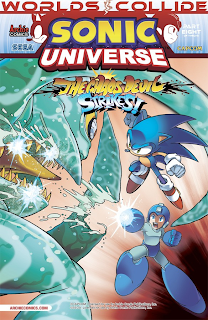 This time, we're looking at the covers for part eight (Sonic Universe #53) and part ten (Mega Man #27). Hit the jump for the lowdown. "The hunt for the Roboticized Masters comes to its explosive end! 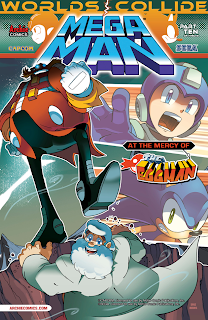 As the gripping second act of the Sonic/Mega Man crossover event comes to a close, Proto Man and the Chaotix make a crucial discovery in the battle to restore BOTH worlds! The tension is fraying the bromance of Drs. 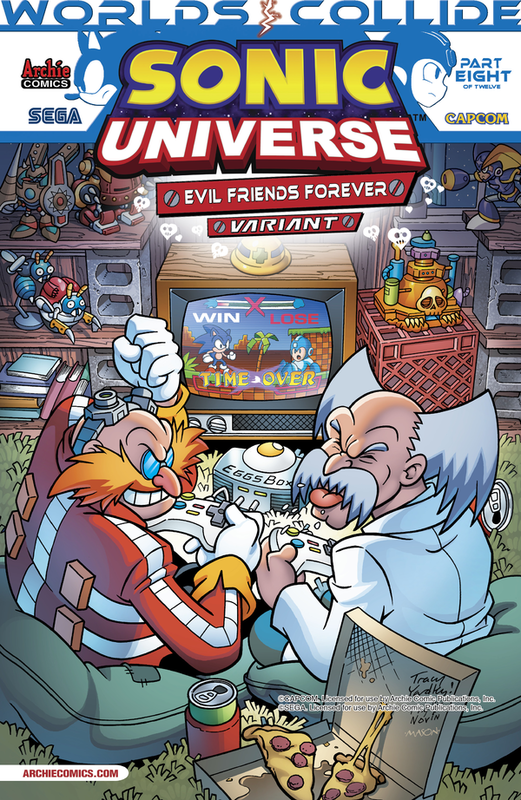 Eggman and Wily! Bass and Metal Sonic prepare to lead an army-but an army of what? Featuring new cover art from Sonic/Mega Man art legend Patrick Spaziante, and a special “E.F.F. 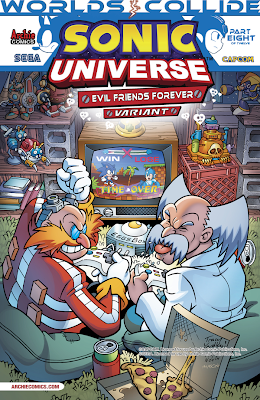 (aka Evil Friends Forever) Variant” featuring Dr.’s Eggman and Wily gaming on their EGGSbox!" The most anticipated crossover event of 2013 rolls on with "When Worlds Collide" Part Ten of Twelve! 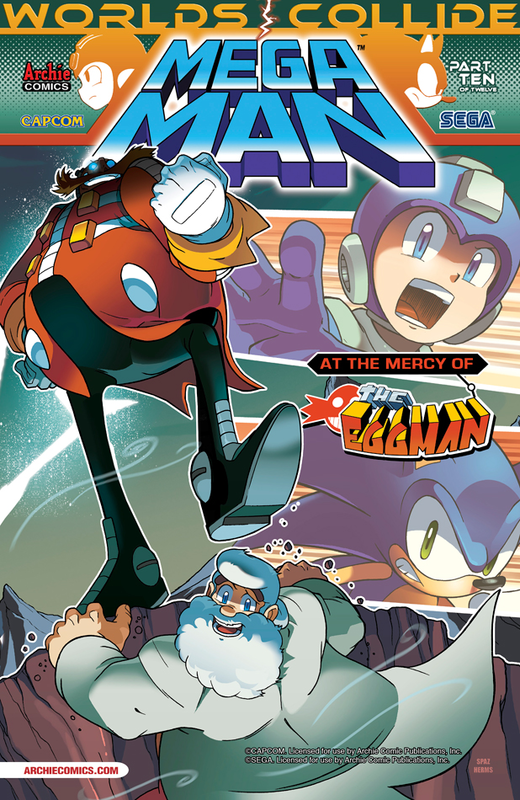 We enter the final assault as Sonic, Tails, Mega Man and Rush storm the Wily Egg to end the dastardly duo of doctors' plans! Speaking of "duos," what's that entering Earth's atmosphere? 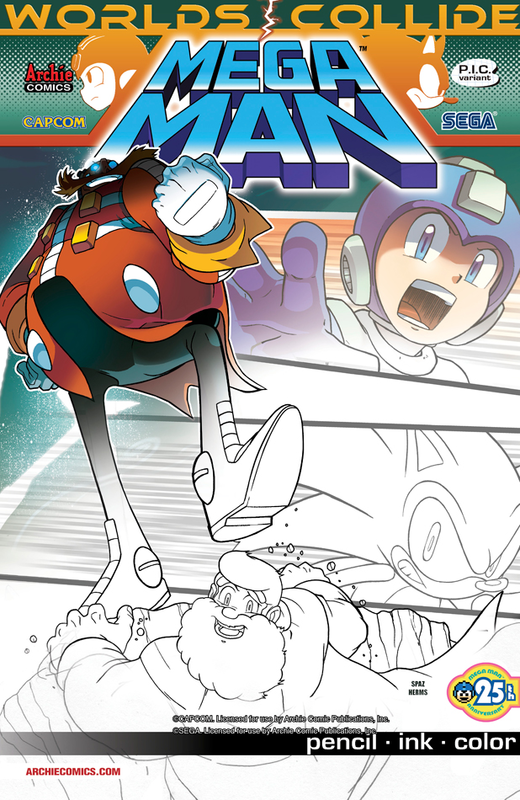 Can it help Sonic and Mega Man fend off the Mega Man Killers? How about a Chaos Devil? Featuring more new cover art from the legendary Patrick "SPAZ" Spaziante and a special look at the cover process with a super special “pencil, ink, color” sketch variant! Worlds Collide Part Eight hits newsstands June 19, Part 10 on July 10. Looking better and better. Can't wait for the first part in the next month! And Chaos Devil!? Two big troublesome bosses in one!? Holy... Imagine if THAT appeared in a game! No way o_o Chaos and Yellow Devil in one..? Holy crap! Wow. They don't exactly stand out on a comic rack, do they? 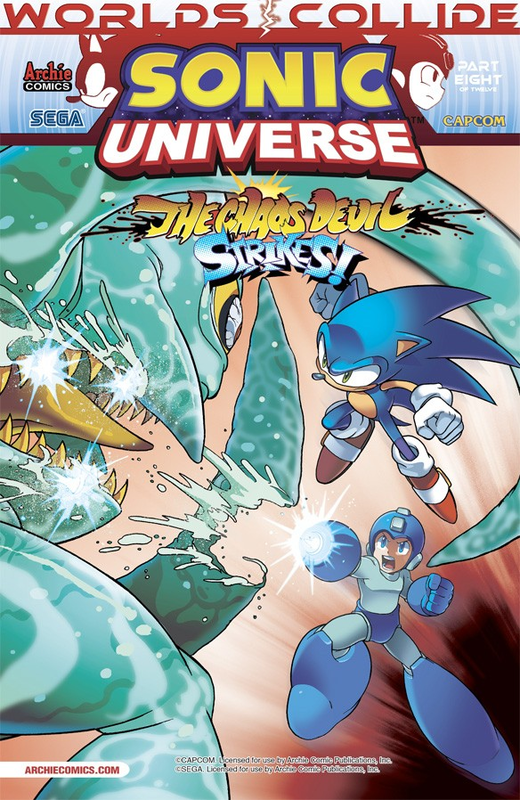 Still, these crossover comics are only missing the standard Crush 40 music to maximize my output of vomit. I hope Flynn is enjoying smashing his action figures together, cause it'd be a real shame if he were earning anything above $20K/year for doing this. I'm pretty sure that's Professor Megaman using a different name, so just ignore him. Crush 40? Why not JAM Project for a change? "Deviled Egg" would be punnier. Just saying.